Nintendo won't make the same mistake with the SNES Classic Mini that it did with the NES version. 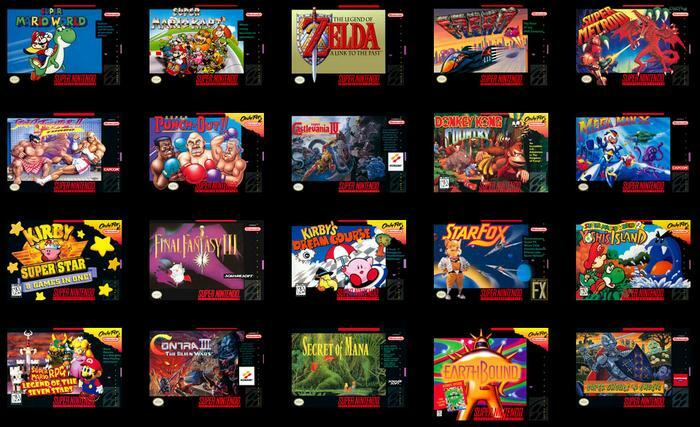 According to a report published by the FT, citing an interview with president of Nintendo of America, Reggie Fils-Aimé, the firm has "dramatically increased" production of the SNES Classic. The Nintendo SNES Classic hasn't become available as yet but there are already reports of pre-orders overwhelming various retailers. Nintendo's remade classic 16-bit console is due to become available from 29th September, priced at US$80. Fils-Aimé told the FT that retailer issues aren't within Nintendo's scope of control but insisted there isn't a supply side issue. On the topic of eager customers wanting to secure a SNES Classic Mini while they can, Fils-Aimé offered some advice. "I would strongly urge you not to over-bid on an SNES Classic on any of the auction sites… You shouldn't [have to] pay more than $79.99". That sounds quite reassuring, compared to last year's situation. The Nintendo America boss told the FT that his firm purposefully created scarcity of the NES Classic Mini to try and stimulate excitement about the product. Furthermore, retro gaming products from other manufacturers hadn't previously caused such a stir. The scarcity causing excitement plan could be called a success - but many Nintendo fans, old and new, were left disappointed with the situation, and that would have a negative impact on the brand. In a press release earlier today Nintendo promised to continue to ship the SNES Classic Mini into 2018 - it had previously planned to cease shipments as 2017 ended. Initial supplies are said to be good: "more units of Super NES Classic Edition will ship on its Sept. 29 launch day in the U.S. than were shipped of NES Classic Edition all last year, with subsequent shipments arriving in stores regularly". On the topic of the NES Classic Mini, Nintendo has announced that it will bring this system back, with new shipments from next summer. Further info about the NES re-launch will arrive ahead of that time. I want them both ! Snes Classic to play Starfox 2 and Nes Classic to strip out and put a small PC into. So I really do hope the prices will drop down to proper retail prices soon. I'm sure they could bring out a system with the whole library for not that much more money.